The MGH Fund helps launch innovative global health programs. 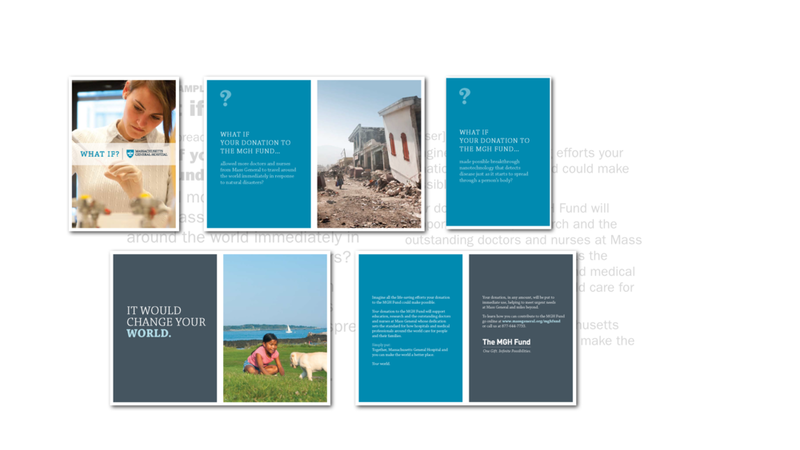 This printed booklet is a “leave behind” piece for MGH development officers to give to major donors and prospects. It’s intended to be a positioning piece—not an “ask” piece. [project assigned via Alphabetica]. 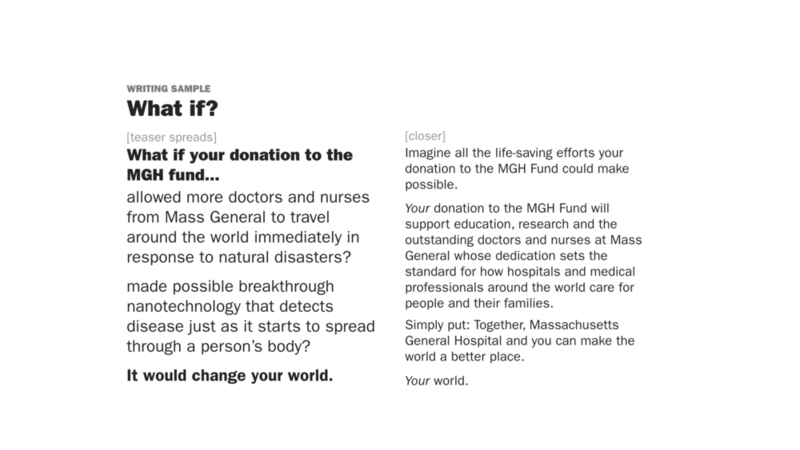 The original concept I proposed was “What if MGH didn’t exist?” Many landmark healthcare advances would not have occurred. Through the iterative process the client opted to make the piece about how a donation can change the world.